Out of 100 users requesting support in the Lydia application, 60% find the answers they seek through the Clustaar chatbot. 35% generate a ticket with human intervention, and 5% of requests are irrelevant or bounce (the user leaves). 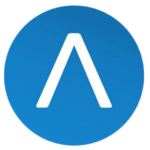 Lydia is a leading mobile payment and card payment application that offers a digital wallet. 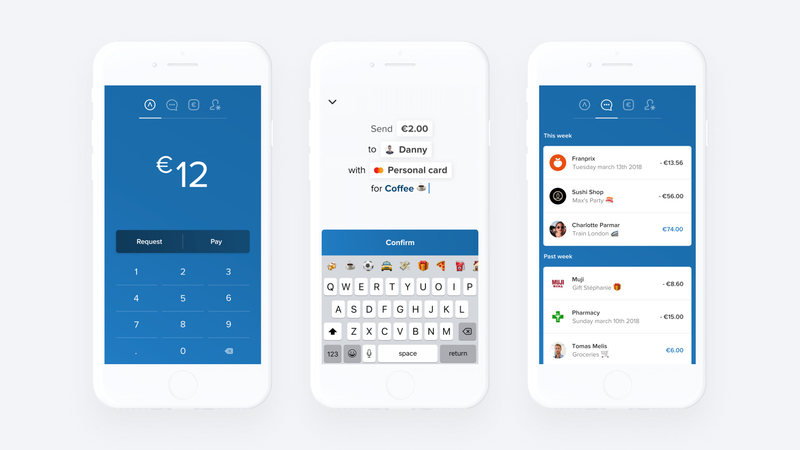 Additionally, Lydia’s service allows users to monitor all their bank accounts, make transfers, pay by text and email, and more, in one app. The company raised 18 million euros in 2018 to develop its business and has since experienced a 15% monthly growth in users. Lydia searched for a solution to keep pace with their expansion. 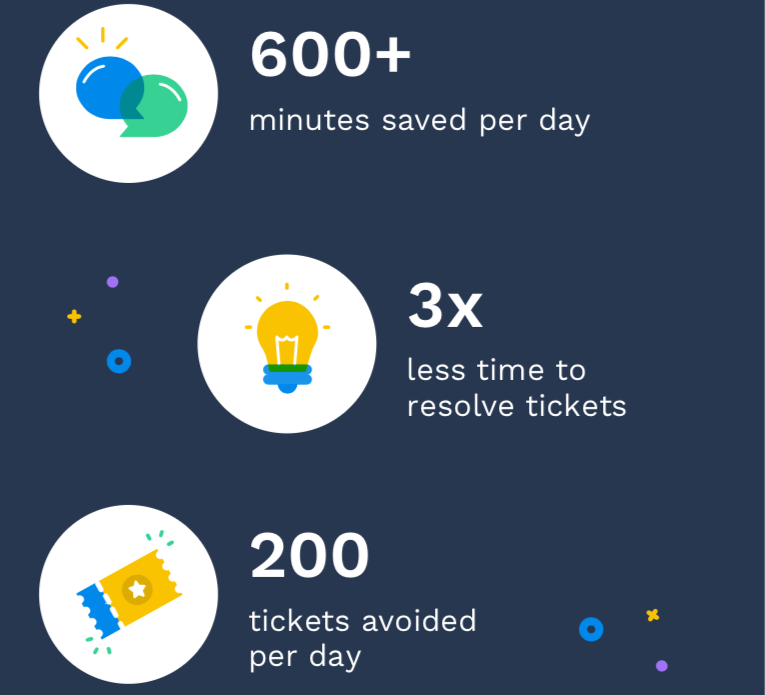 They ultimately chose to automate their customer support to try and reduce the number of tickets their support team received per day. After comparing prices and platform features, Lydia opted for the Clustaar bot platform to automate their customer support. The Lydia team had a specific objective in mind when they began their search for support automation to efficiently answer as many inquiries as possible. Lydia chose automation to sustain their growth in lieu of physically expanding their support team. Primarily, Lydia deals with sensitive topics like money transfers, which require quick and accurate responses. They were drawn to Clustaar’s user-friendly interface for an easy transition for their team. The Clustaar platform allows “non-tech” users to implement the bot and generate the results they needed. Soon after Lydia made the decision to integrate with Clustaar, the work began. The aim of this bot was to guide the users to the right scenario as they formulate their questions(s). In total, the building process took three weeks of full-time engineering with one project manager and a tech. Following development, the bot was then integrated into the Lydia mobile app through the Clustaar API with buttons and natural language. Following the integration, there has been an increase in customer messages without overloading the support team. Lydia receives the same number of tickets per month although their user base continues to grow by 15% a month. They receive 15,000 support tickets per month, on all possible channels (Facebook, Twitter, emails, calls, etc). The chatbot fields 100% of queries prior to getting the customer in touch with a human if needed. This process has reduced the time spent by an agent to problem-solve by 60%. Since the bot has been implemented, the number of tickets has not increased. The growth will not end here. The chatbot learns and adapts with each request to increase its ability to provide more answers over time. In July Lydia reported 1 ticket per 60 users. After support automation, they had a reported 1 ticket per 65 users in September. 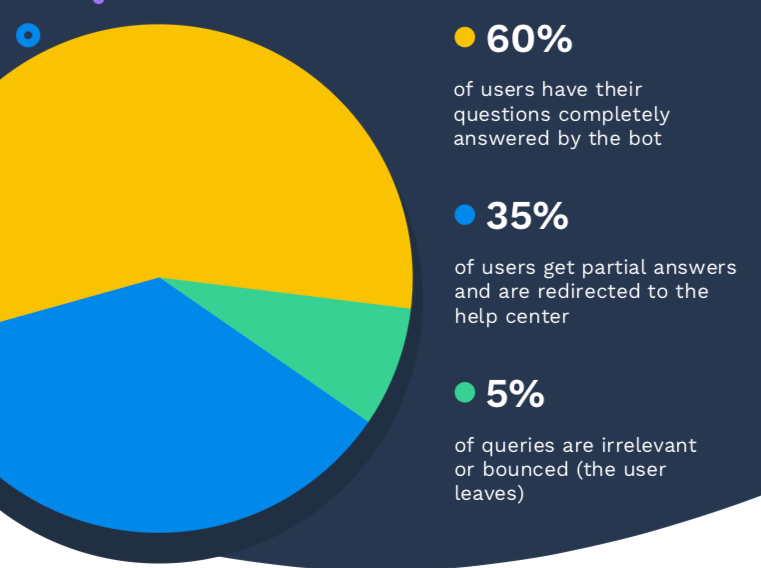 Out of 100 users requesting support in the application, 60% find the answers they seek through the bot, 35% generate a ticket with human intervention, and 5% of requests are irrelevant or bounce (the user leaves). Overall, inquiries had a 3-4 min resolution time with the chatbot. The software also allows automating several operations that can now be attended to in-app, instead of exchanging emails. When the bot does not respond to a request, it qualifies the query and passes the data to the support team. The bot also suggests phrases in the search bar as the user types their request, quickly uniting users with the answers. We at Clustaar are enthusiastic about the Lydia project. Our technology has helped them to support their strong growth while garnishing positive returns. Our new goal is to achieve an 80% match rate for users in the coming months. To try the Clustaar platform for yourself — book a demo with us today! A chatbot is a software robot that can interact with an individual or consumer through a service of automated conversations made largely in natural language. The chatbot originally used question and answer libraries, but advances in artificial intelligence allow it to increasingly “analyze” and “understand” the messages. Clustaar Chatbot platform allows you to build a chatbot that you can later integrate with one of your existing communication channels. To build a bot, you need to design, make scenarios and create a database of potential questions and answers. If the bot can’t answer the question, it will forward the message to a human. The bot also learns with each new conversation. It stands for natural language processing. NLP is a branch of artificial intelligence (AI) that helps computers interpret, understand and work with human language. How long did it take to complete the Lydia bot? Thanks to our botmasters the Lydia chatbot was built in 3 weeks followed by an observational and maintenance period. In total, the bot took 3 months to be fully implemented. Does the Lydia bot operate during business hours? Yes! The Lydia chatbot is the first line of defense for users. When and if queries need to be escalated to a representative the bot will do so. Are there additional Clustaar chatbot case studies? The Lydia banking bot case study is one of several types that we have available. Please see our HelloAsso and Les Frances Des Jeux case studies for additional data and insights into how our chatbots can help. How to make an in-app chatbot using the platform? The first step is to create a chatbot using the platform. Then our open API allows you to embed a bot into your app using a snippet of code. All of our features transfer to mobile and are easy to use and implement. The webchat is included in the price of our platform. We offer several plans depending on the type of services you need. Clustaar’s webchat allows you to connect your chatbot to any website. Your bot provides a seamless 24/7 customer experience for your visitors and users. Learn more about the different plans we offer. What languages are supported by the platform? At the moment, we support English, Spanish, French, Portuguese, Russian, Dutch, German, Italian, Swedish, Turkish. We release new languages on a regular basis, based on client demand. If your language is not listed here, contact us at [email protected] to discuss your project.